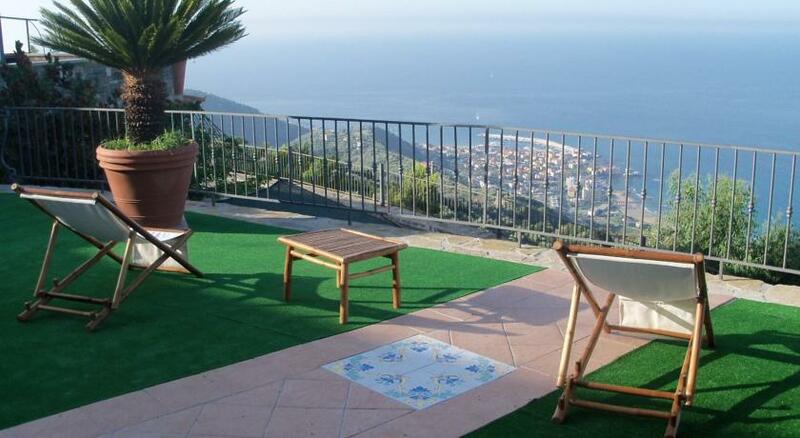 On a gorgeous hilltop position in the Cilento e Vallo di Diano National Park, 30 km south of historic Agropoli, this extremely highly rated agriturismo has bright rooms in converted farm buildings, and some really stunning views across the sea. Olive oil, wine and honey are all produced on site at Agriturismo Le Agavi. The property is surrounded by vineyards and the olive groves stretch down to the coast. Mediterranean Sea views are offered by even the most simple rooms at Le Agavi and each has WiFi, flat-screen TV, minibar and private bathroom. Local products are served for breakfast, including the estate’s own honey and fruit preserves. Hydrofoils to Capri and Ischia leave from Acciaroli Harbour, 6 km away and it is a 1-hour drive to Paestum.